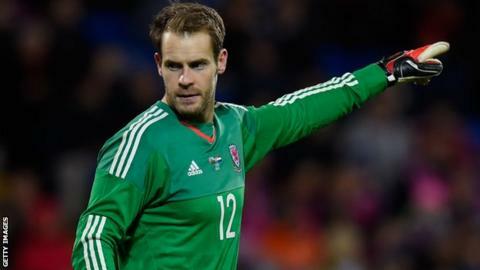 Inverness Caledonian Thistle goalkeeper Owain Fon Williams is something of a rarity in Scotland right now. A player plying his trade in our top flight with a place at France 2016 with Wales within his grasp. Wales' recent rise in world football has been quite staggering and Fon Williams is simply thrilled to be playing his part. His personal highlight came with a substitute appearance last week against the Netherlands after a long period involved in squads but not featuring. "It's been a dream in a way," Fon Williams told BBC Scotland. "Ever since I was a young boy I've always wanted to play for my country. "I've been lucky enough to be in several squads throughout the years but obviously to top it all is putting that shirt on and representing Wales. "Another good thing about being involved in the set up is that Wales have now reached a major tournament." Success under manager Chris Coleman has delivered a first major finals appearance since 1958. And their meteoric rise up Fifa's rankings was timed to perfection, allowing a very favourable draw for the 2018 World Cup as top seeds with qualification for Russia now also a very realistic prospect. As we here in Scotland, for the umpteenth time, try to dissect where it all went wrong, Fon Williams shared the key factors he believes have driven Wales forward, outside the obvious influence of talisman Gareth Bale. "There's an amazing togetherness within the squad there whether it's the players or staff, everybody really does get on," he explained. "In past squads players have been missing or dropped out but with this bunch of boys we've got here no-one wants to drop out. "Everyone wants to be involved when the manager names a squad, everyone wants to be a part of it because there is something special there. "We've got the belief we can go into any game thinking we can beat anyone. "We bounce off each other, you can see that on the pitch and not only the pride players have putting that shirt but also they do work really hard on how to play the game and the tactics behind it. "It's not just going out there and really being up for the fight. It's actually doing your homework and working out how you're going to play against the opposition." While Scottish supporters bemoan another failure, Fon Williams is not only revelling in his country's international success, but also his experience of life in the Highlands. "It's a fantastic part of the world," he said. "As a place to live you can't get any better than this. "As a footballer you're very lucky to be up here. You could be looking at skyscrapers and god knows what else. "No matter where you look here it's beautiful. The people are fantastic. It's a great club and a great place to be working. "There are a lot of positive people here that want to drive this club forward and continue what it did last season. That's the type of place I want to be because I want to achieve things in my career as well. I don't want to go to a place that wants to stand still."